You typically see and / or hear this word ‘Accredited’ used quite a bit when searching for DNA testing. So what does it mean really? Well, simply put, it means that the laboratory doing the actually DNA testing is recognized in the scientific field with specific accreditations, credentials or ratings if you will, to provide the most accurate testing that is available. In the case of DNA Paternity and Family testing, you want to look for AABB and ISO ratings in particular and with Test Me DNA, you get both! To start, the AABBAccreditation Program is the only program of its kind in the United States that is itself ‘accredited’ by another program the International Society for Quality in Healthcare (ISQua for short). AABB has been recognized at an international level for quality for decades with ISQua acting as the leading global health care external evaluation program. But what does AABB actually stand for? Well, initially it stood for American Association of Blood Banks. I say initially because it began back in 1947 and up till recently most DNA collected for testing was indeed collected by blood. Now though, thanks to the technology boom, we have the convenience of what is considered non-evasive collections…aka no needles which means no more blood. So now it is simply known as AABB Accredited and labs have the new technology that can pull our DNA from microscopic skin cells from a simply basic mouth swab called a buccal swab collection. This is the process that has allowed DNA testing to become more affordable as well as better accessible such as Home Paternity Testing kits. Even the Legal In-Lab testing procedures use the buccal swab collection, making testing much more stress-free especially for newborns or young children. The other rating ISO, this stands for the International Organization for Standardization (right, you would think IOS but I digress). 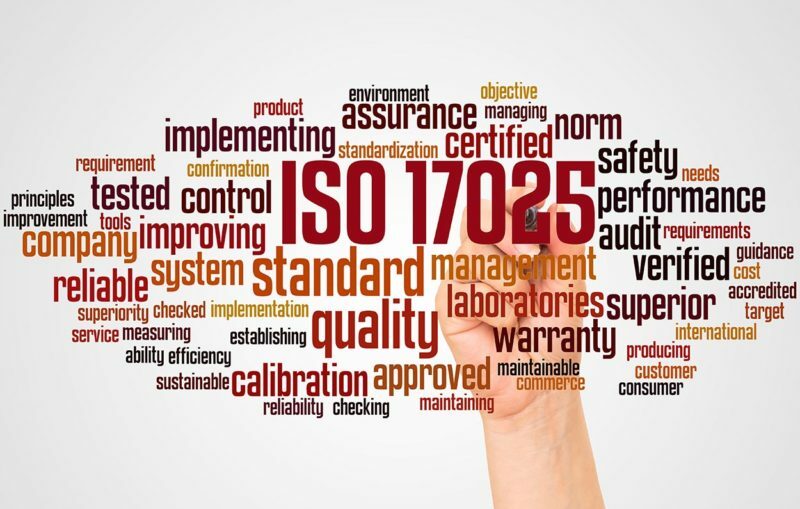 This rating the most widely globally recognized accrediting body providing the strictest of quality control, ensuring continued technical competence as well as compliance. Due to this, it is also the one which is more difficult to get. This is pulled directly from their website: International Standards make things work. They give world-class specifications for products, services and systems, to ensure quality, safety and efficiency. Laboratories doing DNA testing should provide their clients with the most accurate results. This is why Test Me DNA is partnered with Laboratory Corporation of America (Labcorp) to provide this service for you. Labcorp is both AABB accredited and ISO rated. Not just with their In-Lab testing procedures but for their Paternity Home Kits as well. Either way you choose to test, you can rest assured that the results will be the most accurate available.